Is your monthly Cable and Satellite TV bill spiraling out of control? If you see red every time you look at a bill from your Satellite or Cable TV provider then this list is for you. Here are seven ways to eliminate or greatly reduce how much you spend on your cable television costs every month. While not the most popular way to cut your Satellite or Cable TV bill, there are some real advantages to quitting your provider cold turkey. Gather the family around and make a commitment to unplug the TV for 30 days. Look at this as a form of mental cleansing. Talk with each other, play games and reconnect with family and friends. Once your 30 days are over, don't look back and start implementing some great new ways for watching Free or lower cost TV. While you are taking a break why not enjoy reading a good book. The internet is full of great places to download and read many great books. 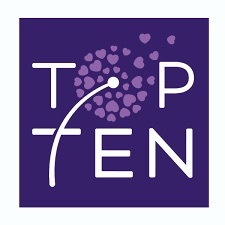 Immersing yourself in a riveting science fiction or compelling romance novel is very entertaining. Reading is good for your brain and helps keep your mind sharp. Have you ever watched a popular movie after reading the book first? The book always goes into way more detail then what you will ever see on film. Be sure to check out these websites to download and read some great E-books while you are on your 30 day hiatus from Cable or Satellite TV. Most people are surprised to learn that many of the same exact local channels your cable and satellite providers charge you for can be watched for free. These are actually some of the better network channels. In fact, with a proper high quality TV antenna placed in your attic or on your roof you may be able to receive ABC, CBS, NBC, PBS and FOX. Plus a few other channels as well. Picture quality from an HD Antenna is almost always better than what you typically will receive from Cable TV or Satellite. Let's repeat this again, you can get major network channels in full HD in better quality from a simple low cost TV antenna. 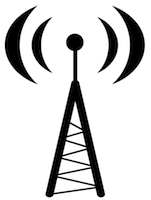 Check out this handy app to determine which Free over the air channels you can expect to receive at your location. The further away you live from the broadcast transmitters, the larger the antenna will be needed. Some areas are too far away or the signal can be blocked by hills trees or buildings. if you don't have access to any signals or broadband internet, learn how to save money from your current Satellite or Cable TV provider. This is a great option because not only will it give you access to anything available on the internet, once setup with a tuner you can even record and time shift live HD TV. 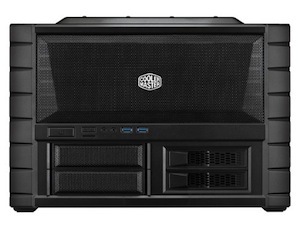 Building a dedicated home theater personal computer or HTPC is the most expensive option for the initial hardware. These require more hands on tweaking, technical knowledge and maintenance. The interface if you use Plex or XBMC can be quite good. An HTPC will play all your files no matter which format they are in. Many people choose to run their HTPC headless without a monitor, keyboard or mouse. They use VNC to connect to it from another computer, smart phone or tablet. If your notebook or computer has an HDMI output on the graphics card it can then be plugged directly into your television. This will let you watch anything from your computer on your television. This works great with sites like Netflix, Amazon and Hulu Plus . XBMC runs on many media players, The G-Box Midnight MX2 is one of the top XBMC streamers available. It comes pre-configured ready to roll with the most popular add-ons and settings so setup is much easier and faster than an HTPC. It will handle many file types, is quiet, small and is a popular alternative to an HTPC. Read this review on the G-Box Midnight MX2 and how it compares to Roku. If you get excited every time Apple realeases a new gadget and you already own more Apple and iDevices than you can count on one hand the AppleTV may be a logical choice. The user interface is so simple anyone can use it. Rent movies from iTunes, watch and listen to free podcasts, check out YouTube videos or watch the latest and greatest television series from Netflix. Just don't buy a current model and expect to jailbreak it and add XBMC. For this you will still need to find a pricey 2nd Generation Apple TV model. Roku is still our favorite media streamer. They offer more channels and content then many of the other media streamers combined. 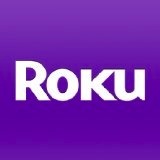 Over 1500 Roku channels at last count. Sure, you can find almost all the same content online. Except no other streamer has it as organized in one place and makes it so easy to watch instant on demand content on your TV. The Roku user interface is so simple your grandparents will have no problem using it within minutes. We put together a nice collection of Public and Private Roku Channels here at mkvXstream that can quickly be added to your Roku. 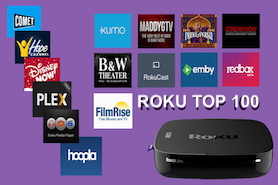 For it's low cost, ease of use and wealth of content the Roku media streamer is our number one choice to lower your monthly cable or satellite bill. Like death and taxes, it's pretty much a certainty that Cable TV and Satellite prices will continue to keep getting more expensive every year. 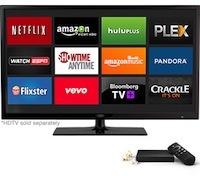 Be sure to browse our site for many great Roku Channels, additional online Internet TV Channels and more ideas to watch free or lower cost streaming TV. 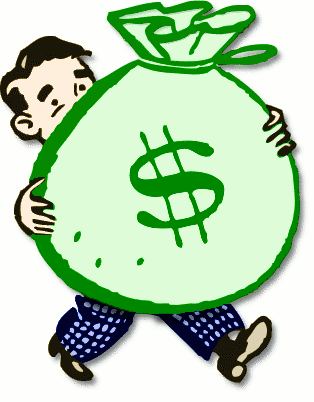 The money you save every month is yours to keep and enjoy.